The Microbar 9730 is a compact universal external decoder and interface adapter that connects Automatic Data Capture (ADC) devices to the widest range of PC's and terminals. The Microbar 9730 is suitable for connecting barcode wands and scanners to PC's in a wide range of applications for homes, offices, libraries, health care and industry, and for connecting multiple input devices to a single terminal in retail. 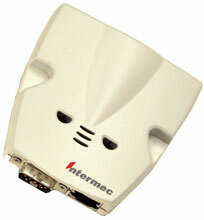 The Intermec 3-230019-10 is also known as Intermec Technologies	INT-9730A01	or 323001910	.